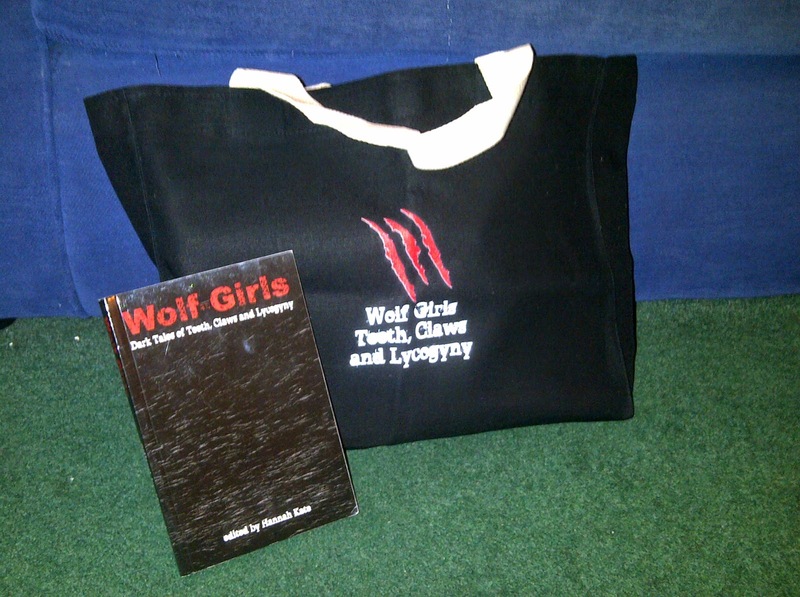 Enter now via the Rafflecopter widget below for a chance to win 3 wonderful paperbacks PLUS an exclusive WOLF-GIRLS tote bag! Seventeen new tales of dark, snarling lycogyny by Nu Yang, Mary Borsellino, Lyn Lockwood, Mihaela Nicolescu, L. Lark, Jeanette Greaves, Kim Bannerman, Lynsey May, Hannah Kate, J. K. Coi, Rosie Garland, R. A. Martens, Beth Daley, Marie Cruz, Helen Cross, Andrew Quinton and Sarah Peacock. 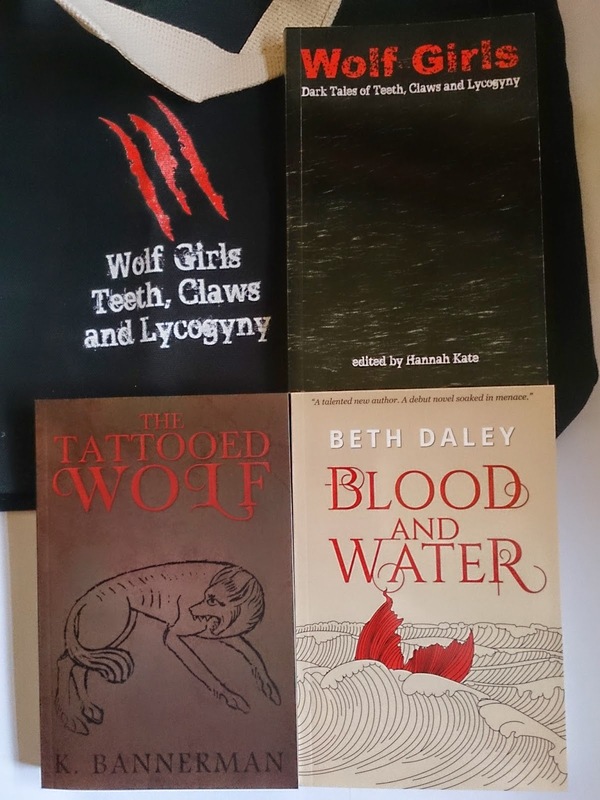 In addition to this lycanthropic anthology, the prize also includes novels by two of the contributors: Kim Bannerman and Beth Daley! 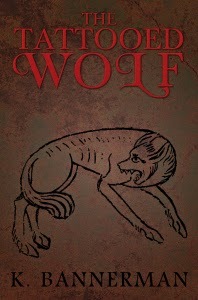 As Dan reveals the truth about his life and his marriage, Morris listens to a captivating tale of lycanthropy, love and betrayal. It’s lunacy, he’s sure of that, but there’s something about Dan Sullivan that makes it all very easy to believe. Dora lives by the sea. Dora has always lived by the sea. But she won’t go into the water. The last time Dora swam in the sea was the day of her mother’s funeral, the day she saw the mermaid. Now she’s an adult, a respectable married woman, and her little sister Lucie has come home from university with a horrible secret. 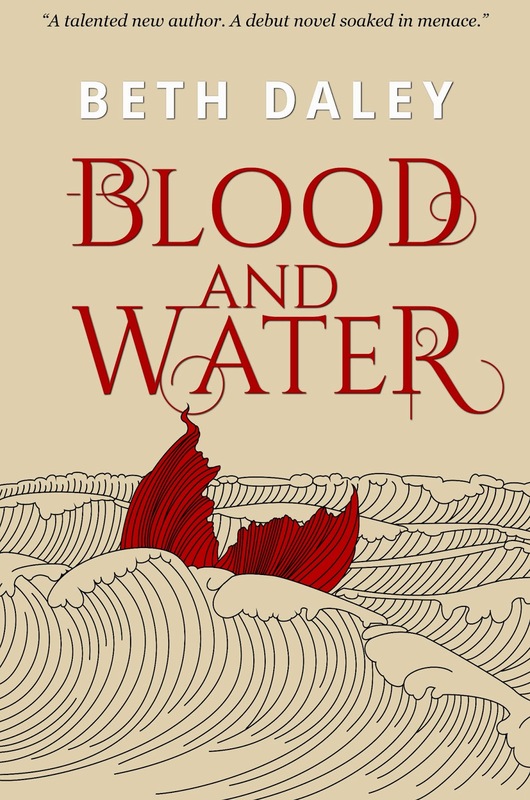 Dora’s safe and dry life begins to fray, as she is torn between protecting her baby sister and facing up to a truth she has always known but never admitted. And the sea keeps calling her, reminding her of what she saw beneath the waves all those years ago… of what will be waiting for her if she dives in again.